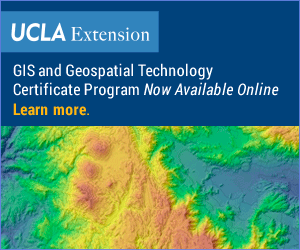 In addition to providing GIS instruction to UCLA students and working professionals, Geospatial @ UCLA offers free Web-based GIS tools, including TextMapper, a text geoparsing and visualization platform, and click2shp, a browser-based shapefile creation tool. The pages listed below provide more information about the free tools offered to the public by Geospatial @ UCLA. The UCLA Web Geocoder offers free Web-based access to UCLA address geocoding services. Street addresses in the United States and United Kingdom are supported. Support for locality-level geocoding is available for many other countries. This is a batch geocoder that allows for the geocoding of multiple addresses. This geocoder supports input in two formats: (1) lists of addresses, and (2) comma-separated value (CSV) data containing an address field.